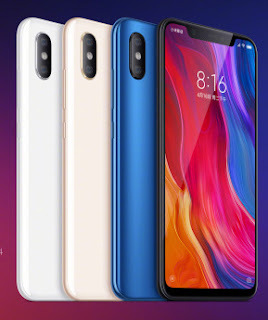 Xiaomi today launched Xiaomi Mi 8 Smartphone in China. It comes with Snapdragon 845 Processor and MIUI 10. Xiaomi Mi 8 comes with a metal and glass body with a rear-mounted fingerprint sensor. It has a 6.21-inch display 18.7:9 aspect ratio and a screen resolution of 2,248 x 1,080 pixels powered by Snapdragon 845 processor with 6GB RAM and 64/128/256GB of internal storage options.